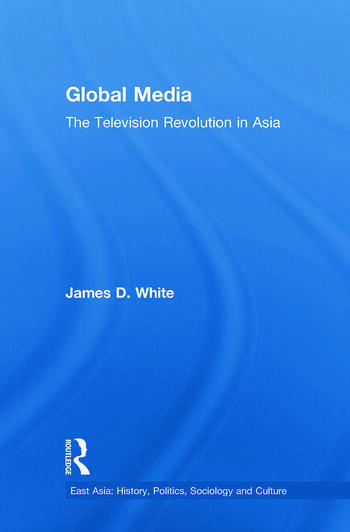 This book is about the processes of globalization, demonstrated through a comparative study of three television case histories in Asia. Also illustrated are different approaches to providing television services in the world: public service (NHK in Japan), state (CCTV in China) and commercial (STAR TV, based in Hong Kong). Through its focus, Global Media addresses a considerable lacuna in the media studies literature, which tends to have a heavy Western bias. It provides an original addition to the literature on globalization, which is often abstract and anecdotal, in addition to making a major contribution to comparative research in Asia. Finally, it offers a thoughtful causal layered analysis, with a concluding argument in favor of public service television. James D. White is Visiting Professor in the School of Public Policy and Associate Director, International Programs in the Center for Advanced Communications Policy at Georgia Tech.